It turns out that the best antidote to holiday craziness is a solid dose of humor and snark. 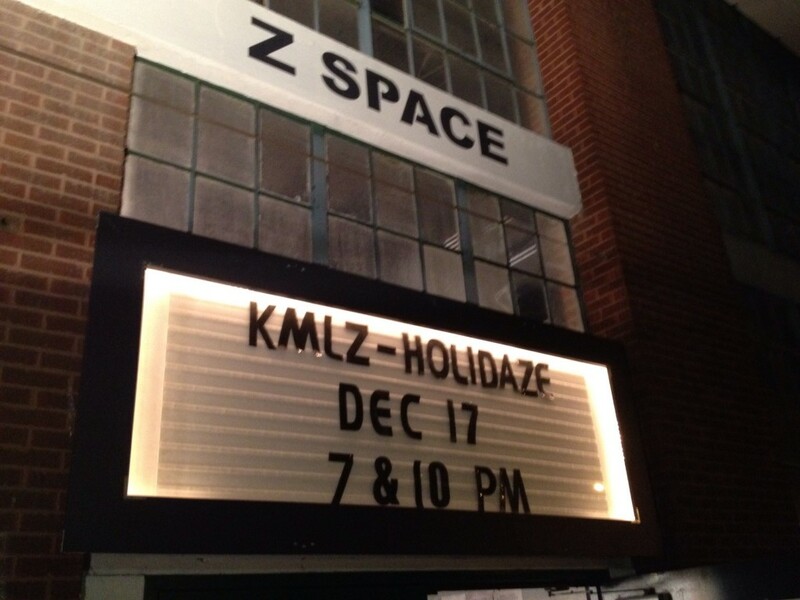 This past Saturday, I checked out KMLZ: HOLIDAZE, a creative collaboration between Killing My Lobster (KML), San Francisco’s leading sketch comedy group, and Z Space, a venue dedicated to new works. The outcome of this collaboration was a hilarious show that took aim at the holidays, while giving the audience a surprising feeling of community. Let me start with the hilarity. HOLIDAZE featured some of the freshest sketches that I’ve ever seen about the holidays, creating both film shorts and, of course, live pieces. Oh, before I go any further, there’s something mind-blowing about this show that I must spell out. A normal KML show takes three months to put together, but when Z Space gets involved (bringing the “z” to KMLZ) the show is planned in three weeks. Three weeks! It took me the entire first act to get over that. To me, there were three stand-out sketches of the night and each one highlights what made the show so refreshing. (I could easily talk about many of the sketches, but, for your sake and mine, I chose my top three.) The first showcased a dysfunctional family celebrating Arbor Day. What was so inspired about this idea was that the family would say things that you usually hear on Christmas (things like, “Don’t say that! It’s Christmas!”), but when you throw in a random holiday (making it, “Don’t say that! It’s Arbor Day!”), the ridiculousness of holiday cheer becomes magnified. As the family devolves into yelling at each other and taking very personal digs (such as, “Are you still gay, son?” and “How’s your cancer, Dad?”), the pleas that everyone be civil because it’s Arbor Day become more and more outrageous–and more hilarious. The second stand-out was a film short that had one of the performers singing along on stage as Sarah McLaughlin… You can probably guess what they were making fun of. On the screen, animals are shown–but, instead of the usual “Help this animal” voice-over, the commercial asks people to save animals from being dressed up in Christmas costumes. The photos of these animals dressed in Santa and elf costumes would have been enough to have the audience in stitches, but, to KML’s credit, they didn’t rest on the silly images. Between the Sarah McLaughlin singer and the voice-over, KML created a perfect parody of these over-the-top commercials and buying seasonal costumes for pets. Finally, the third stand-out was the last sketch of the night. Three friends wait for MUNI and have a question about how to get on the train, leading a Jimmy Stewart impersonator to come out and explain how MUNI works. The sketch quickly becomes a clever send-up of It’s A Wonderful Life, ending with all the actors pulling off hilarious impressions (why are impressions so, so funny?). It was a perfect ending to the evening: a reminder and spoof of all the holiday nostalgia that’s built into this time of the year. The other impressive aspect of HOLIDAZE was that it created a sense of community, even while poking fun at the traditional holiday togetherness we’re supposed to feel. The first way they did this was by including details about San Francisco in the sketches (for instance, the appearance of MUNI in the Jimmy Stewart piece), but the main way they achieved this feeling was by having local acts perform. The first local act was The She’s, a band composed of high school girls, who owned their performances so completely that I bought their CD of surfer rock afterwards. Next, opening the second act, the Sacred Heart Cathedral Prep Drama Club performed a quick, funny sketch about Christmas future. Finally, One Flea Circus put on a gravity-defying acrobatics show, all while singing Christmas songs and stripping down to seasonal undergarments. By including these talented groups, HOLIDAZE celebrated all types–and ages–of people creating all types of art. As you can tell, KMLZ: HOLIDAZE was the perfect palate cleanser from all the holiday insanity and consumerism. And, I’d love to tell you to go and see it right now–but, unfortunately, it was a one-night only show. 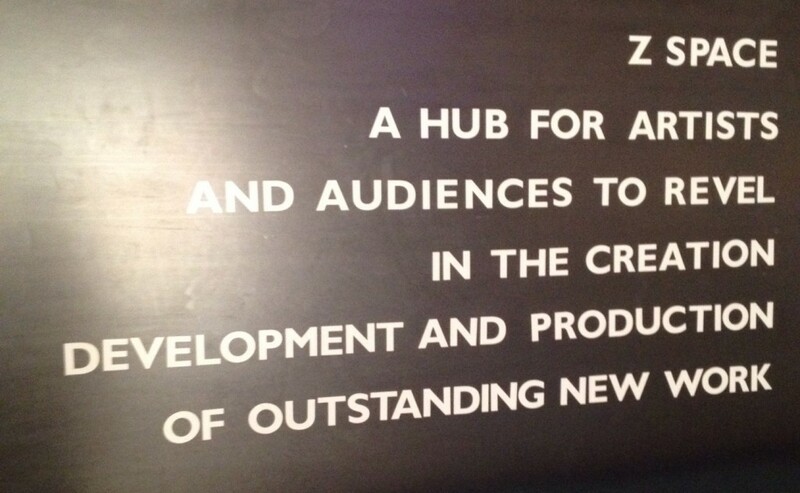 The good news, however, is that 2012 is two weeks away, which means a whole new year of KML shows and performances at Z Space. Let us know your thoughts! Follow us on Twitter and like us on Facebook to give us a shout. You can also stay on top of exciting events from around the world by downloading the eventseeker app for iPhone, Android or Windows.